Keeping your eyes hydrated is very important for your vision. 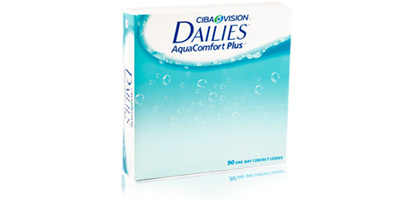 With this mission in mind, Dailies Aquacomfort plus 90 pack contact lenses have been introduced to the market by Ciba Vision. 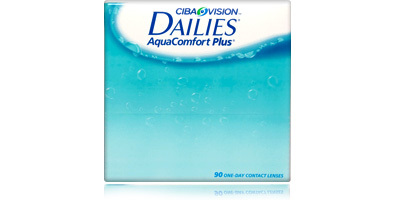 The Dailies Aquacomfort plus 90 pack contact lenses have not just one but three moisturising elements. 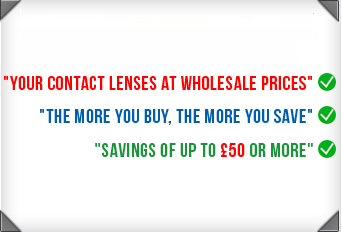 You will have a seamless insertion of the lenses with the special lubricating agent. Your eyes will feel sufficiently hydrated the whole time you are wearing the lenses with the wetting agent. Every time you blink (all 14,000 times/day) the moisturising agent will release moisture into your eyes, keeping them fresh and clear. 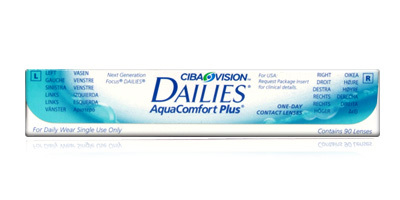 Dailies Aquacomfort plus contact lenses are easy to use and they come with a slight tint (does not change the eye colour) for easy identification and handling. Purchase your Dailies Aquacomfort plus 90 pack contact lenses from us and enjoy the ultimate hydration available only with these lenses at unbeatable prices.